Eugen Klein Skirt 3932 71650, Cream, Micro Fibre Blend. 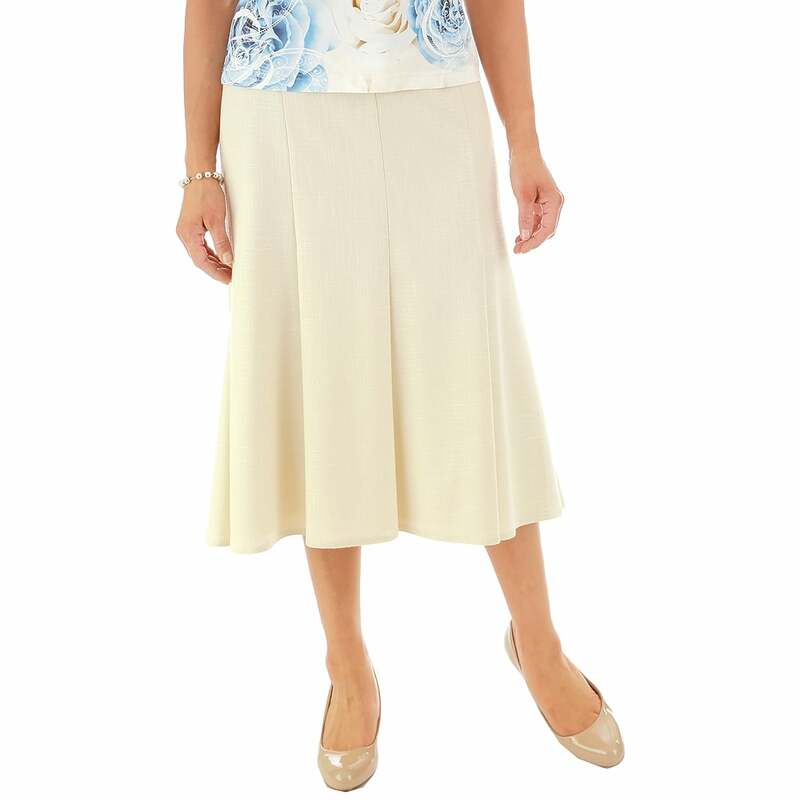 Skirt, mid length, Tulip cup with eight panels, waist band with elastic panels, rear concealed zip and button closure, in a cream polyester micro-fibre and viscose blend. 77 percent polyester micro-fibre 70 percent viscose 3 percent elastane shell, 55 percent acetate 45percent viscose lining.